**No Matchbox Twenty "YOURSELF" VIP Package available for 9/19 - other 2 VIP packages will be available. Click the specific event link to find out when tickets go on sale to the general public. Tour Club Members will get early access to VIP packages starting TOMORROW! 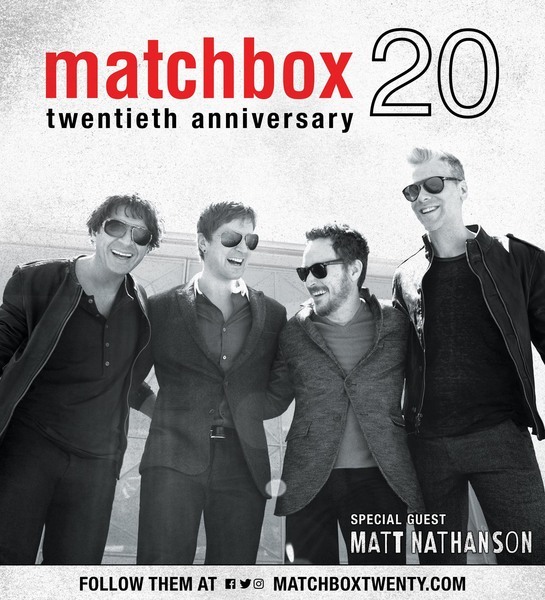 Starting Tuesday, June 6 at 10am local venue time, Matchbox Twenty Tour Club members will have access to tickets and VIP packages. ALL VIP PACKAGE PRE-SALES WILL CLOSE AT 12PM PACIFIC ON JUNE 6. This is a very brief window, so don't miss it!! A PASSWORD WILL BE REQUIRED to purchase VIP packages during this pre-sale. Tour Club Members can find their pre-sale code in their Account Dashboard. Passwords will appear at 9:50am Eastern.